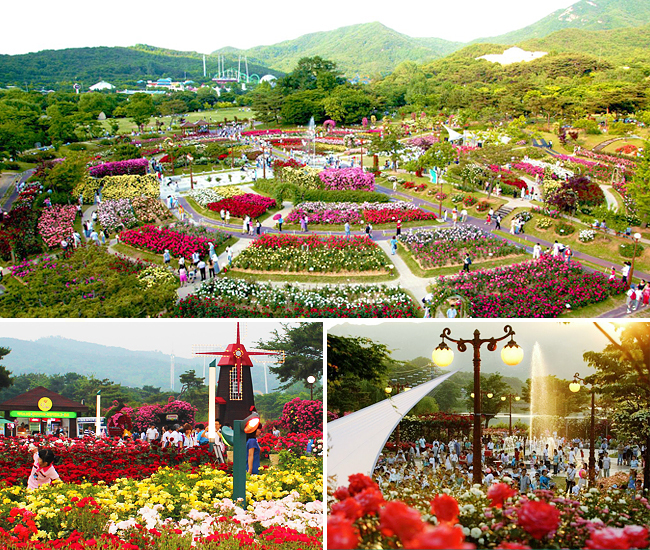 The Rose Garden Walking Festival at Seoul Grand Park has started and will end on 29 June 2014. This is a rare chance to view 293 different types of roses all at one location. Other flower species include corn flowers, red poppies and there’s a tower veiled with roses, a fountain and a herb garden. Hands-on programmes like making rose-scented soap, lip balm, solid perfume and candles will be available during the weekend.